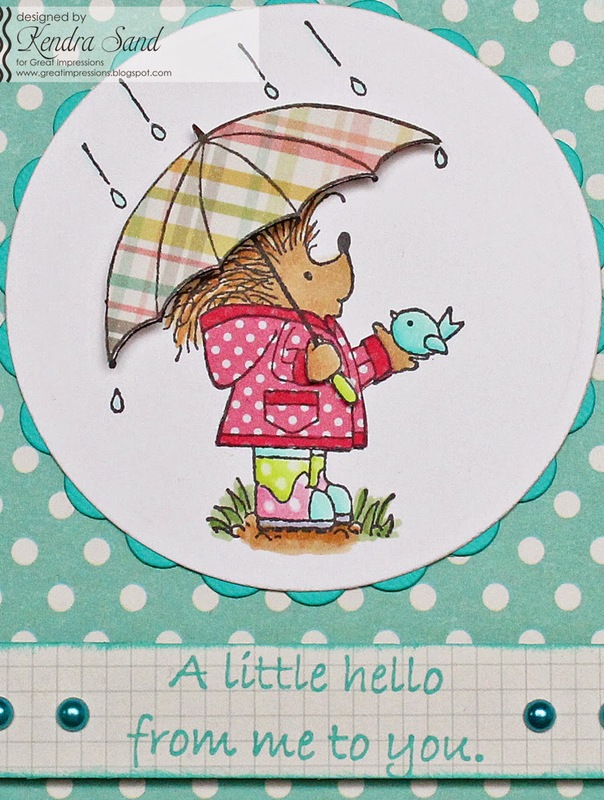 Kendra from Luv 2 Scrap 'n Make Cards here today to share a cute card with you!! I love the new F605 Rainy Day Harry! 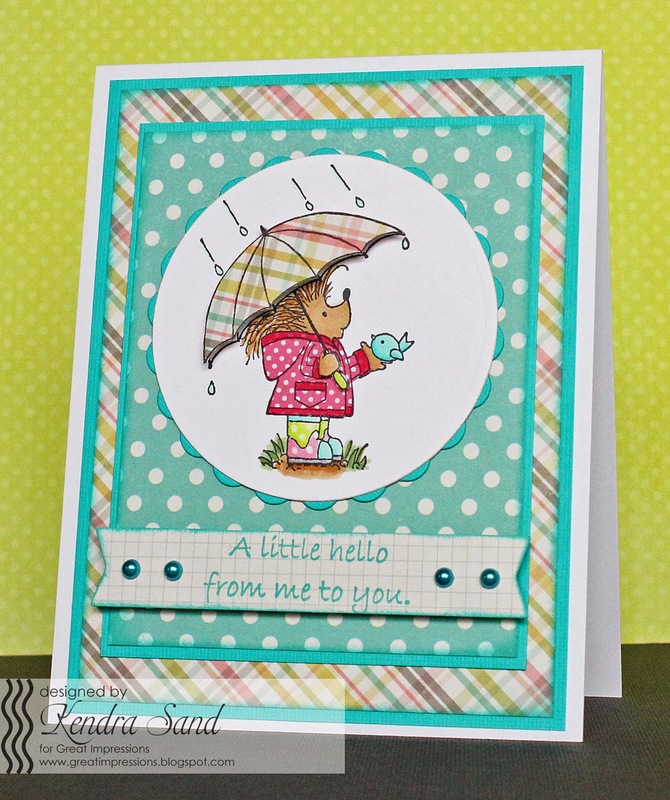 I thought the B151 A Little Hello was the perfect sentiment for this card! I paper pieced the umbrella and jacket to add a fun pattern to the image! This is so cute! I'm actually paper piecing this guy for my Sat. Post as we speak! It must be true what they say about great minds! Thanks for sharing...hugs! Darling card. I love all the paper piecing. Such a cute image to work with. Thanks for the inspiration.